The Jean Augustine Chair in Education, Community & Diaspora is pleased to announce a two-day Black History Month Symposium to be held at York University on February 8 and 9, 2019. The Black Leadership, Partisan Politics & Social Activism symposium will bring together community leaders, activists, academics and students to discuss the limitations and possibilities of political representation and social activism for advancing Black communities. 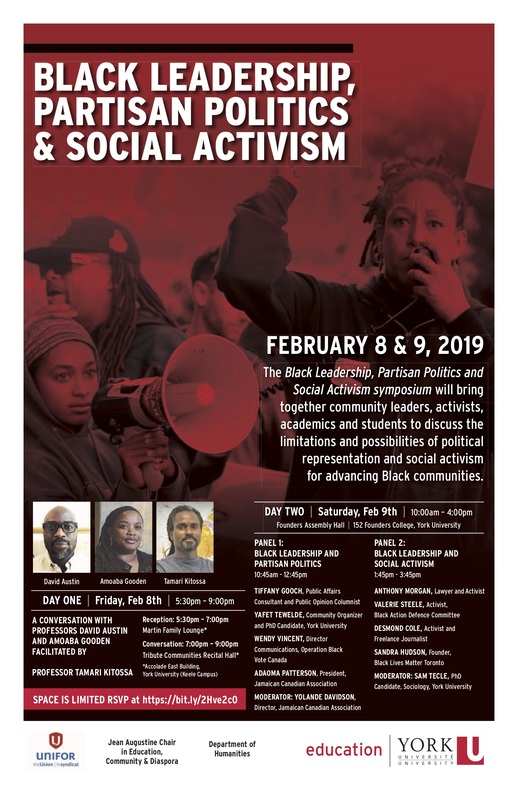 Day 2 on Saturday, February 9th will feature two panel conversations with invited community activists and organizers.